A U.S. self-described global warming 'skeptic' has just completed a major global temperature study concluding the world has been warming by 1 C since the mid-1950s. A physics professor at the University of California, Berkeley, and self-described global warming "skeptic" has just completed a major global temperature study, concluding that the world has been warming by 1 C since the mid-1950s. Richard Muller, scientific director of the California-based, Berkeley Earth Surface Temperature Project admits he is now a "global warming convert." "Our biggest surprise was that the new results agreed so closely with the warming values published previously by other teams in the U.S. and the U.K.," Muller said in a statement. Muller led a team of researchers, who he said had no global warming bias or agenda, to set the record straight on the basic question: is the world warming or not? Other climate science groups such as NASA, NOAA, and the Hadley Centre in the United Kingdom have already shown a warming trend for some time. But Muller was motivated to clear the scientific suspicion raised by the so-called "Climategate" scandal of late 2009, when U.K. scientists' e-mails were hacked and exposed, raising accusations that some scientists may have tinkered with temperature readings to suit global warming conclusions. He said he would accept the conclusion of his latest study, whichever way it went. "Climategate was very disturbing to me. A group of scientists had suppressed data that disagreed with what they thought was the answer," Muller told CBC News in a recent Skype interview. "In science, you're not supposed to do that. You're supposed to show your dirty laundry." Muller said he designed a study to deal with skeptics' major concerns, such as selection bias and the "urban heat island effect." The latter refers to thermometer readings that are unusually warm due to their proximity to airports or cities that produce their own heat. The Berkeley project gathered an astonishing 1.6 billion temperature readings from around the planet — five times more locations than reviewed by previous groups. The study is making international headlines, but other skeptics aren't so sure if the so-called warming debate is over. "It's been spun in a way to suggest the skeptics are wrong, and we should all just repent," said Peter Holle of the Frontier Centre, a Winnipeg-based think-tank that often funds well-known global warming skeptics, such as Timothy Ball, to give presentations across Canada. Holle said the Berkeley study still has not been peer-reviewed. One of the study's co-authors, Judith Curry, has already disputed the conclusions in published news reports, he added. Holle also questioned the accuracy of the temperature stations, as well as the timing of the study's release. "We think it's probably no coincidence that there's a major UN conference coming up in Durban, South Africa, on climate change in about four weeks," he said. Environmental activist Curt Hull with Climate Change Connection in Winnipeg said he expects the world will embrace this report. "I think it just adds to the mountain of evidence, and the continually growing mountain of evidence, that the Earth is warming," said Hull. 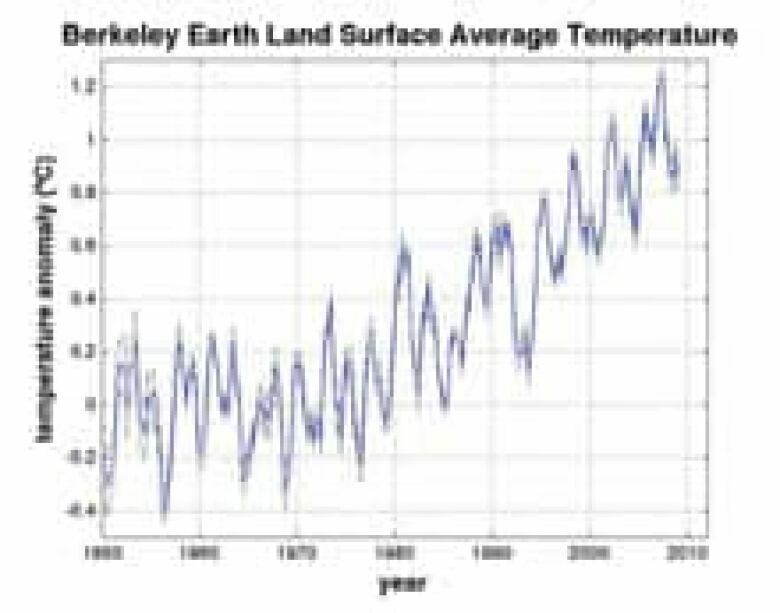 In a move towards greater transparency, the Berkeley Earth Surface Temperature Project published all of its temperature data online for anyone to download, criticize or reinterpret. "So by doing the science carefully, by doing it openly, by putting all of our data online … what we're hoping is this will not be part of the political debate anymore, that we'll agree on the science," Muller said. In a twist, the study was partly funded by the Charles Koch Foundation. 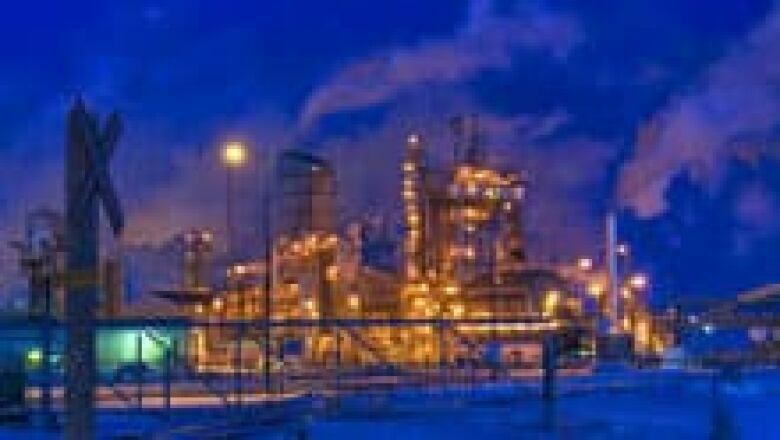 Charles Koch is a U.S. billionaire industrialist who, according to Environment Canada, just happens to own the largest greenhouse gas-polluting facility in Manitoba: the Koch fertilizer plant in Brandon. The Center for American Progress Action Fund claims that Koch is a well-known funder of global warming denial activities, as well as the U.S. Tea Party movement. In a statement, the Charles Koch Foundation said, "The [Berkeley] research examined recent global surface temperature trends. It did not examine ocean temperature data or the cause of warming on our climate."